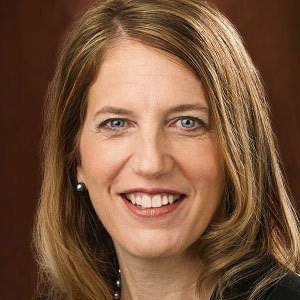 After serving in the Bill Clinton administration as White House Deputy Chief of Staff for Policy, Burwell was appointed by President Barack Obama to the positions of Director of the Office of Management and Budget and United States Secretary of Health and Human Services. After graduating from both Harvard and Oxford, she worked on the Dukakis and Clinton presidential campaigns and was briefly employed by the McKinsey & Company consulting firm. She made the Wall Street Journal's 2005 list of "Fifty Women to Watch." The child of local politician Cleo Maroudas Mathews and physician William Peter Mathews, she grew up in Hinton, West Virginia. She later married Stephen Burwell and settled in Washington, D.C.
During her college years, she worked as an aide to then-Massachusetts Governor Michael Dukakis.